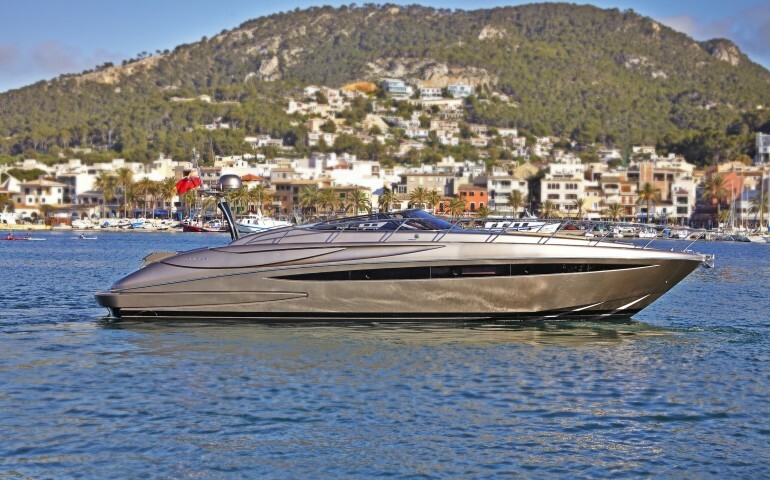 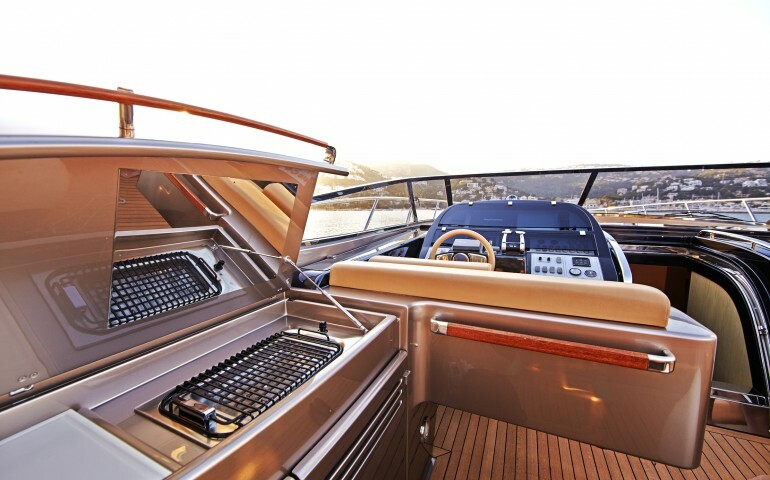 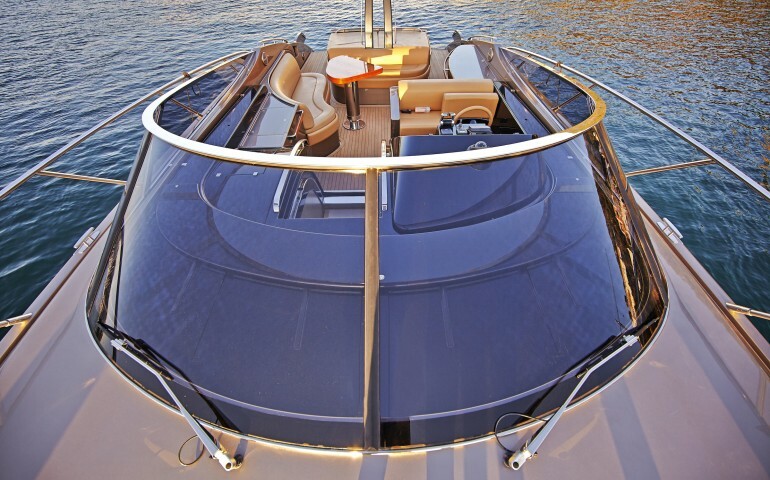 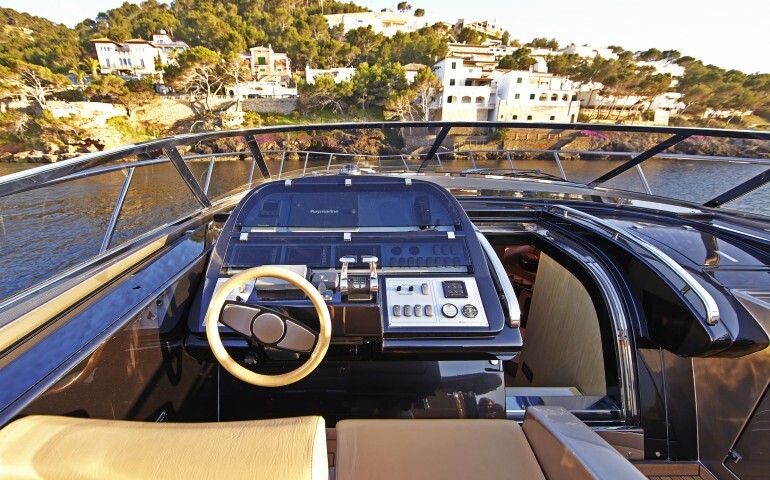 Motor Yacht SAKURA is a striking 52-foot RIVA Rivale yacht available for charter in Mallorca. 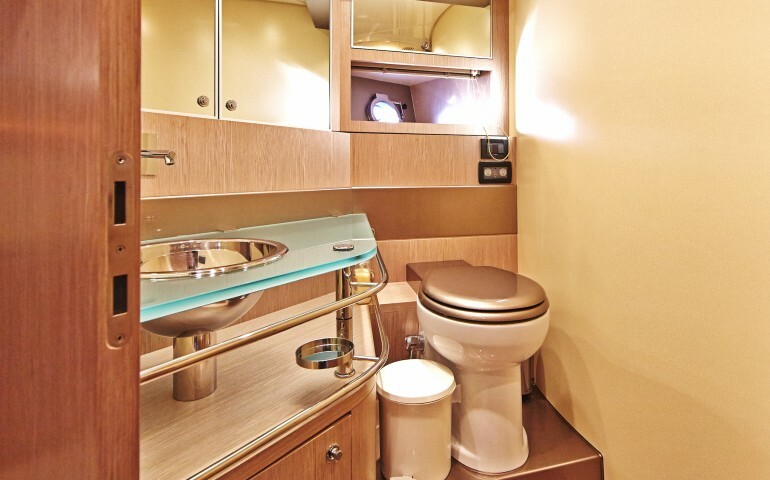 Luxury charter yacht SAKURA boasts beautiful Italian design and quality craftsmanship, combined with comfortable accommodation and safety. 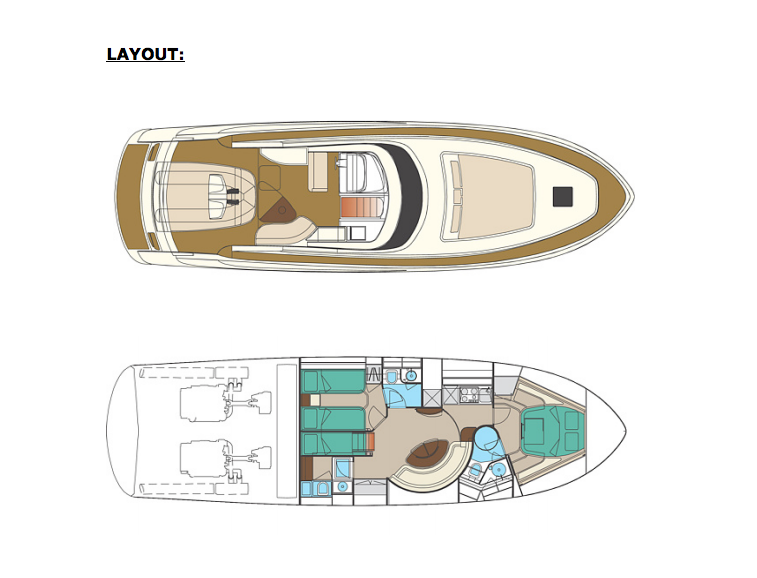 Belonging to the open ‘retro’ range, SAKURA yacht features accommodation in two luxurious double cabins and has an additional crew cabin. 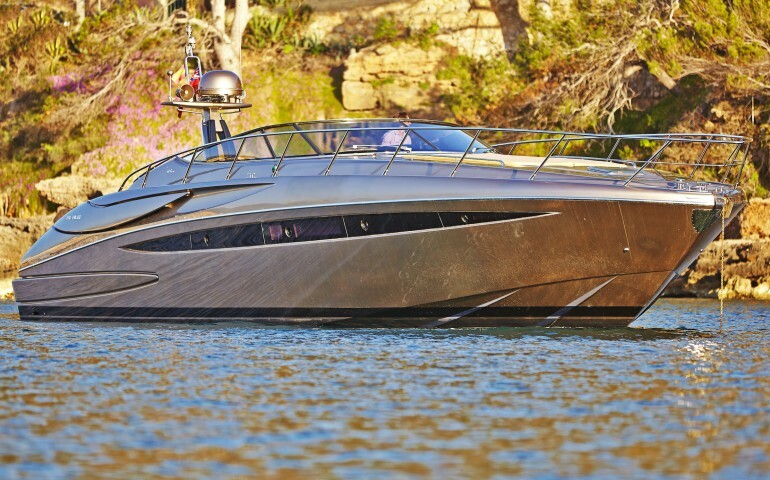 Fitted with two powerful MAN 1,100 engines, the Rivale 52 yacht Sakura is capable of reaching an amazing speed of 40 knots and cruise from port to port at an impressive speed of 36 knots. 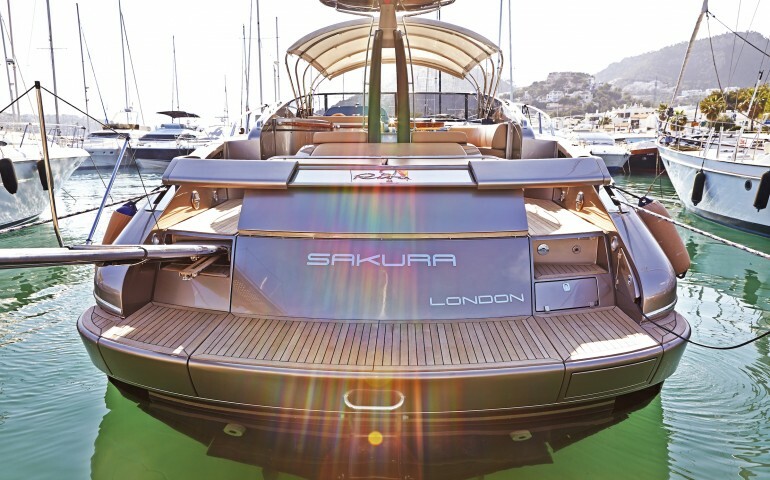 Finished in stunning ‘grey sand’, Sakura has a also a fantastic range of water toys for her guests’ entertainment, including waterskis, a wakeboard, donut, snorkelling gear and an Avon jet RIB suited for towing. 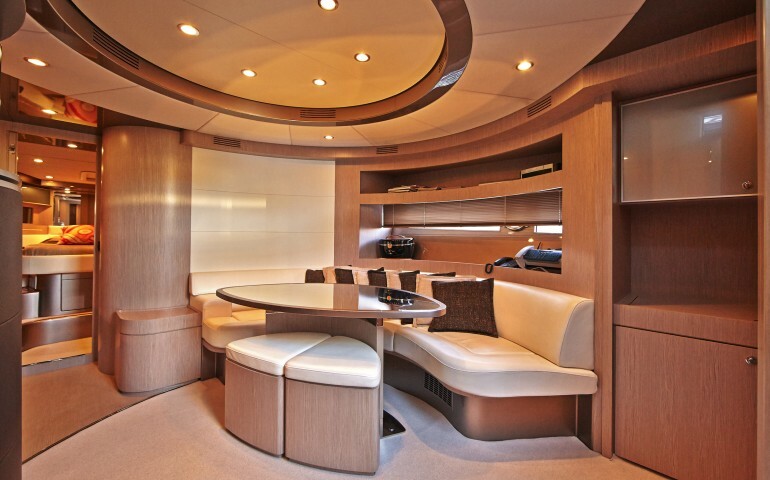 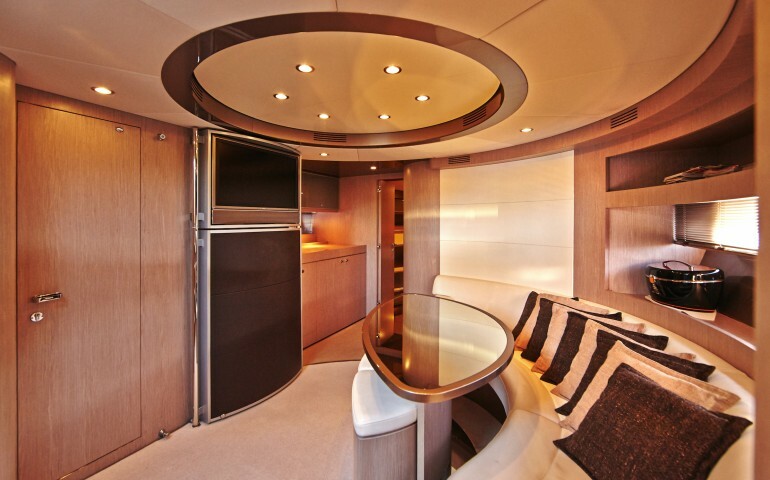 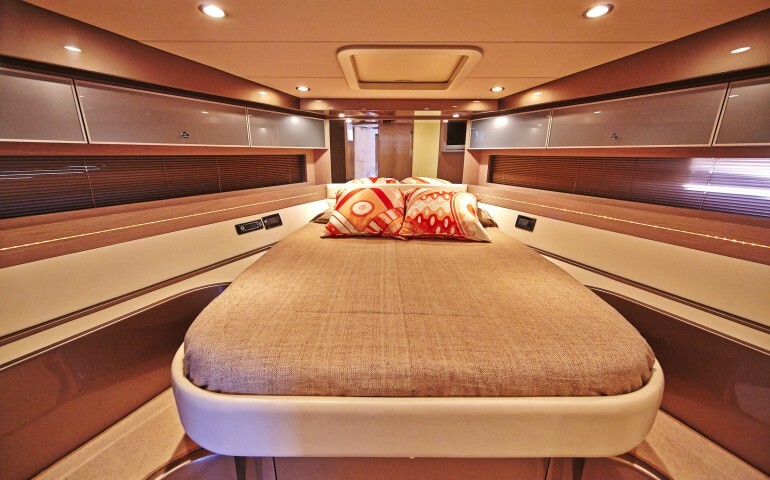 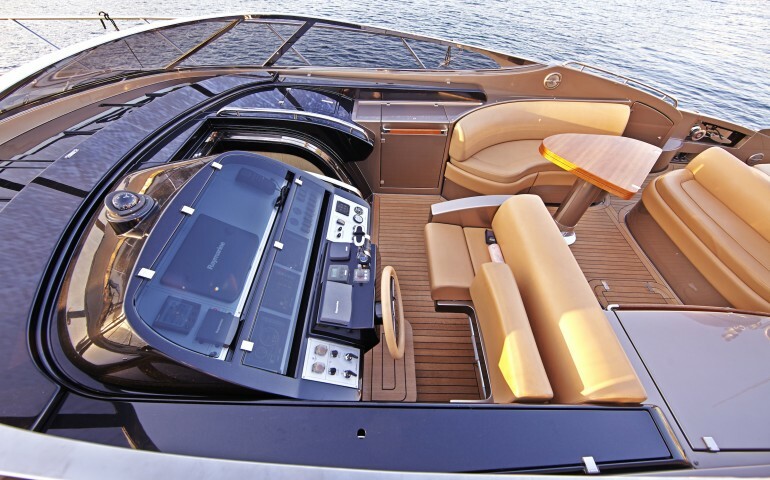 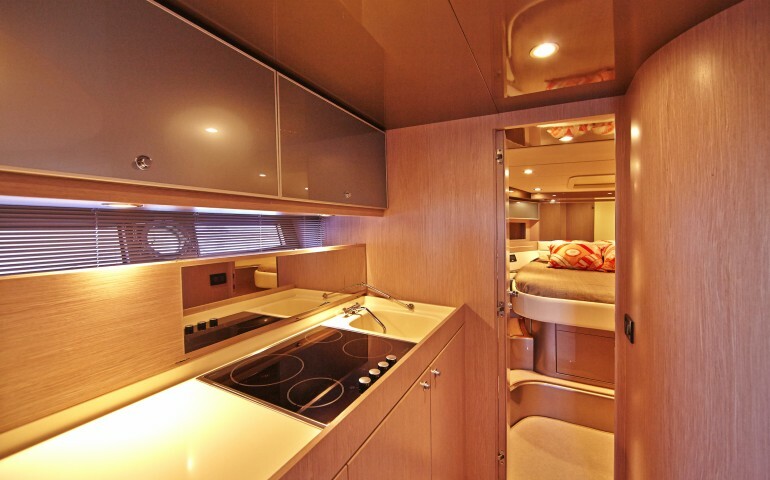 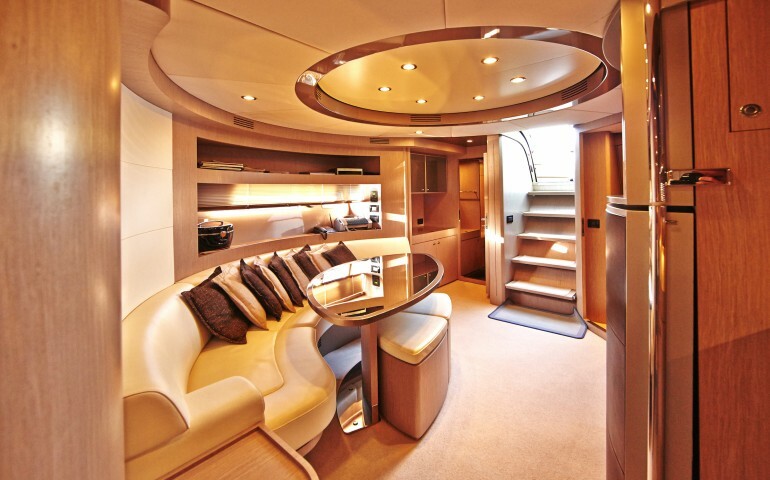 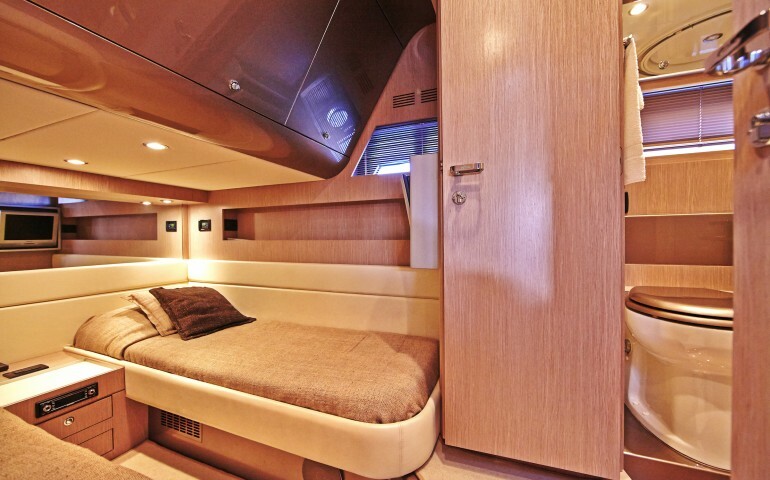 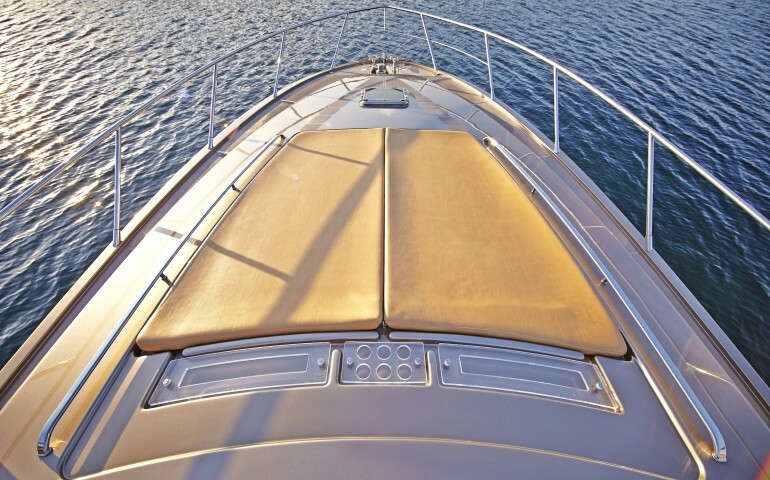 Accommodation aboard 52' Riva Rivale charter yacht Sakura is available in two cabins. 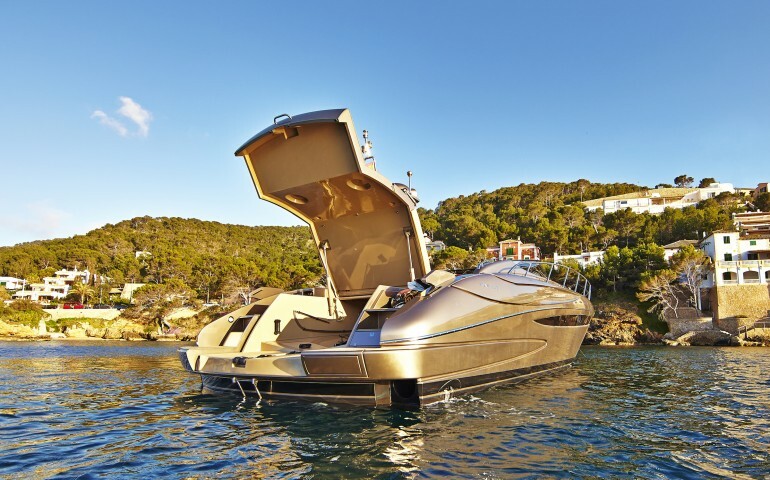 Waterskis, a wakeboard, donut, snorkelling gear and an Avon jet RIB suited for towing.